There is quality around every corner, says Dieter Loibner in his Contest 42CS review. 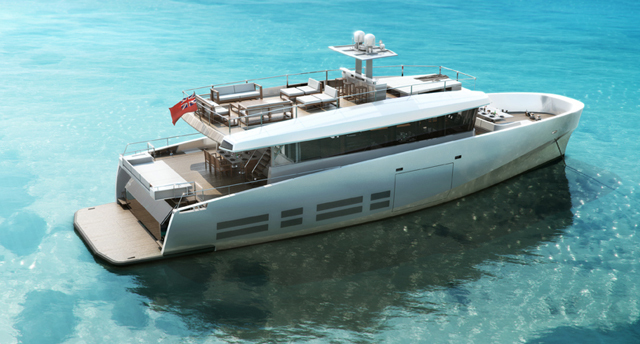 The Georg Nissen-designed Contest 42CS won the highly competitive Luxury Cruiser category at the 2014 European Yacht of the Year awards announced at Dusseldorf Boat Show in January. Beating the Gunfleet 58 and the Hallberg-Rassy 55 was no mean feat but the judges' comments about the 42CS's excellent, unparalleled sailing performance singled out Contest as master balancers of performance and luxury. 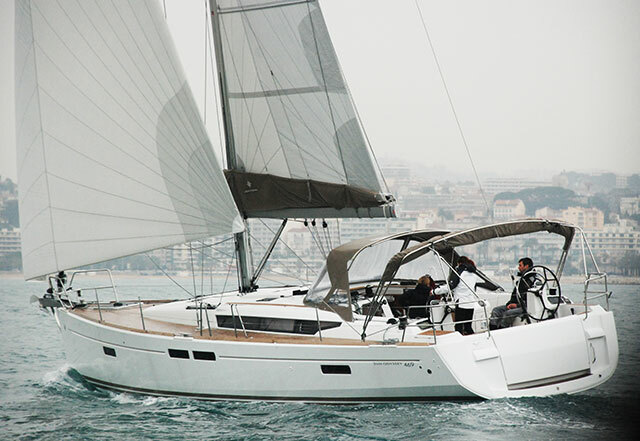 Sailing speed and cruising comfort come together, in the Contest 42 CS. 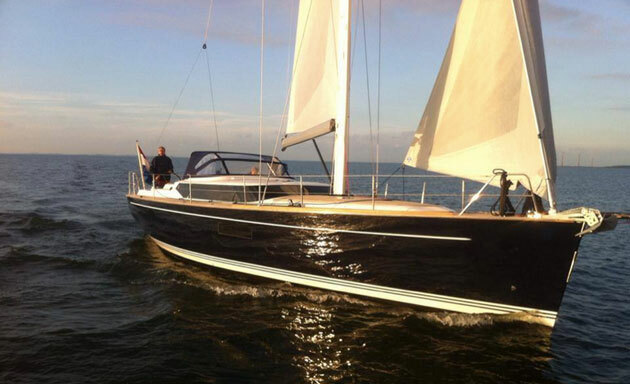 So how does Contest take a comfortable cruising sailboat and add performance? In this case, the 11 tons of a Contest 42CS, which in reality probably approach 13 with full tanks and equipment, should be fast thanks to lines by George Nissen—one of Germany’s leading naval architects—and sailing propulsion that plays along. Put on the optional carbon mast that’s stepped on top of a deep lead keel, standard on the Contest, and call North Sails to fire up their lamination machines. It also helps to have a stiff hull that’s built with a balsa core and vacuum-injection. Never mind six berths, a teak deck, two full heads, big batteries, and the genset—let’s get a move on. One of the five cockpit layout options available on the Contest 42CS. 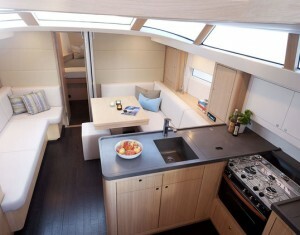 There are 45 different configurations for the layout below deck. Then there are five more for the cockpit arrangement. There are also the choices for the rig. In other words, there are a ton of possibilities. And that’s also new for this builder, at least considering the recent past. For larger models, the yard continues to bet on a semi-custom strategy: As long as it fits, clients get what they want. However, the 42CS needs to sell in bigger numbers to perhaps become a small production series. 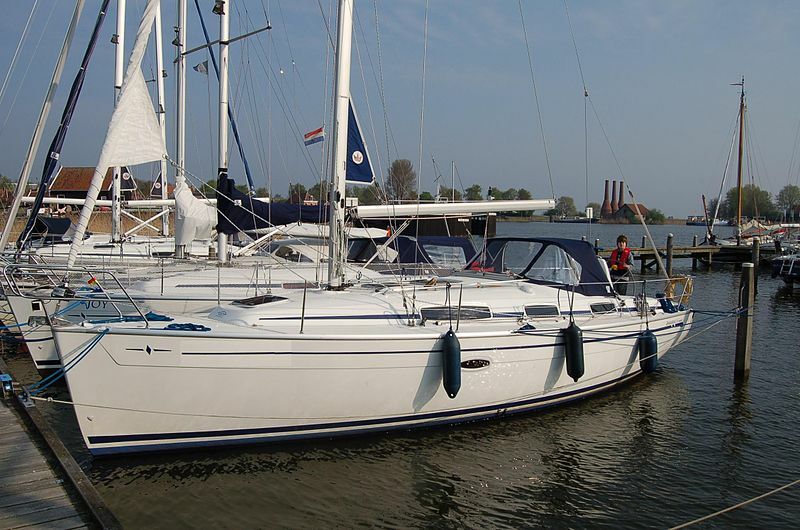 It’s this variety that distinguishes the Dutch boat from her competition, since boats like the Hallberg-Rassy 412 offer a few specific versions. Both are aft-cockpit boats, and this is the first Contest with an aft cockpit in quite some time. A center cockpit, Offereins says, is only practical from 45 feet on up, due to the space arrangements below deck. This approach is sensible for the new boat and produces stretchy lines, a near flat foredeck and an attractive coach-roof as eye candy. But enough about theory, it’s time for the boat to show her mettle. And it’s a sign of confidence that Contest invited a reporter to tag along on the maiden sail, even as curiosity about her sailing performance was high among all present, including the reps of the builder who say they didn’t have enough time to test the boat prior to the Amsterdam show. Also present was Admiral’s Cup veteran Frans Hinfelaar, who’s managing the North loft that provided 3Di sails. As soon as the sails went up and the first puffs arrived the Contest was on the move. 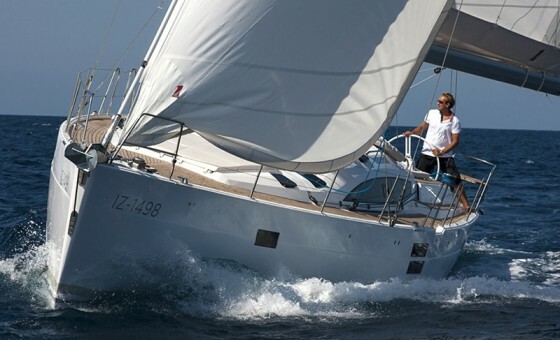 In 16 knots of breeze the boat reaches close to eight knots at 40 degrees of wind angle. Pumping the hydraulic backstay in the puffs, Hinfelaar says, “you need that for the optimal mainsail trim.” The traveler is also quite helpful. It’s installed either on the cockpit floor on the performance version, or on the cabin top. There is also a third alternative without any track for shorthanded sailing, but that necessitates the hydraulic vang in combination with the hydraulic backstay adjuster. Thunder could be heard, but driven by the curiosity to find out what she could do our crew sent up the 108% gennaker. 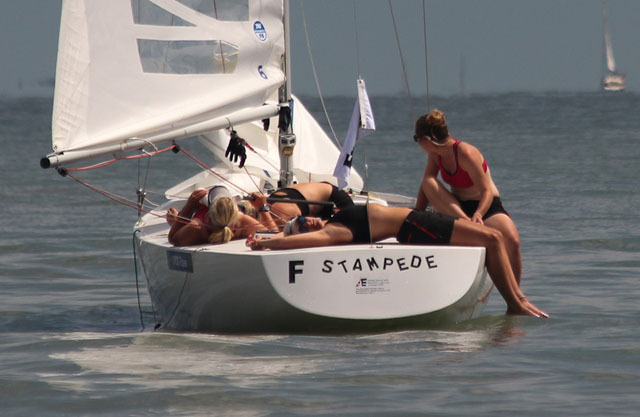 Just over 1,000 square feet of sail (93sq m) pulled hard, and the speedo swiftly showed double digits. 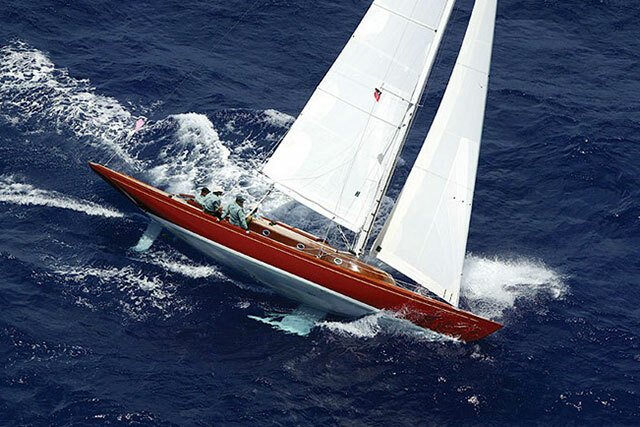 Yes, the Contest 42 can sail. The interior is bright, due to large wraparound windows in the coach roof, hull windows in the saloon, and the materials that are in use. 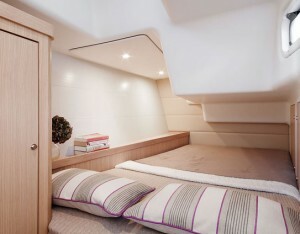 Natural light is a strong point, inside the cabin of the Contest 42. Oak and white surfaces dominate the furniture per customer request. The standard here is teak. The overhead cupboards above the pantry are simply white. While that might not be everyone’s taste, it’s easy to keep clean and bright. Besides, all of it can be changed if desired. No changes can be applied to the measurements of the aft berths. The two aft cabins are separated by a wide tunnel behind the engine room, which provides good sound insulation and space for a generator and other equipment. Because the 42CS does not have a big stern that projects out a lot, the shoulder width of the aft berths is limited to 4.6 feet. That’s the absolute minimum size for a double berth, while length and headroom are fine. By contrast, the size of the double berth in the forepeak of the test boat was ample at 5.67 feet. That’s more than enough room for two. Also pleasant are the dimensions of the heads, which are functional and of sufficient size to be used with foul weather gear. The forward head is separated with shower and sink to starboard, and the commode to port. In this arrangement sufficient dry stowage space is missing, but the yard promises a fix. Also missing is ventilation because the deck hatch is installed outside of the head compartment, and for safety reasons the hull windows can’t be opened. The solution is an electric fan, which should be installed going forward. More about ventilation: There are plenty of deck hatches, but no opening ports on the sides because of design considerations, to avoid interruption of the wraparound windows; cross-ventilation is elusive. For trips to warm-weather venues, the AC-option should be considered. It’s a workable compromise. What’s apparent at Contest is the attention to details. Doors don’t rattle because of special locks, floorboards don’t squeak, the filters for cooling water and fuel are installed in a central and easily accessible spot. The fuel filter also has a sensor that sounds an alarm, if it detects water in the diesel. Bilge pumps are equipped with alarms, as well. All seacocks are connected to a central ground plate by cable, to fight corrosion. On deck, the lines are sorted by color to avoid confusion. The folding prop is standard, and the installed components are upscale—not one screw is visible in the interior. Those who take pleasure in such details also understand why a boat like this costs close to $700,000 (£412,000), which includes all the electronic equipment and everything else that makes voyaging pleasant. The Contest is positioned well in her market segment, while offering plenty of unique selling points: the design, the variety of interior options, colors, trim and the cockpit layout, plus the construction with balsa core and vacuum injection. And that makes her fit for fast and comfortable traveling. 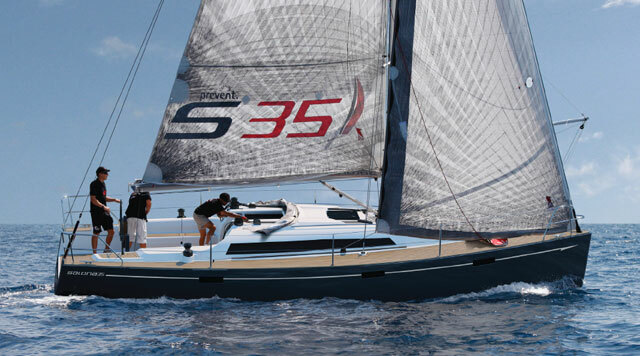 If you enjoyed this Contest 42CS review, there's plenty reviews of luxury cruisers with www.boats.com: Sense 55: Luxury Beneteau Range gets Larger, or Gunfleet 43: cruising in luxury and Grand Soleil 43: An Appealing Blend.